New York City-based David Weeks Studio designed the Lorre sculptural installation comprising 3D-printed kinetic lights and cable that explore the connection between space, light, and material. The wireless lights are suspended on copper cables where the conductivity of the cable lit them up allowing each shade to be moved as desired. Each light is made of nylon plastic that was printed using selective laser sintering making them lightweight. 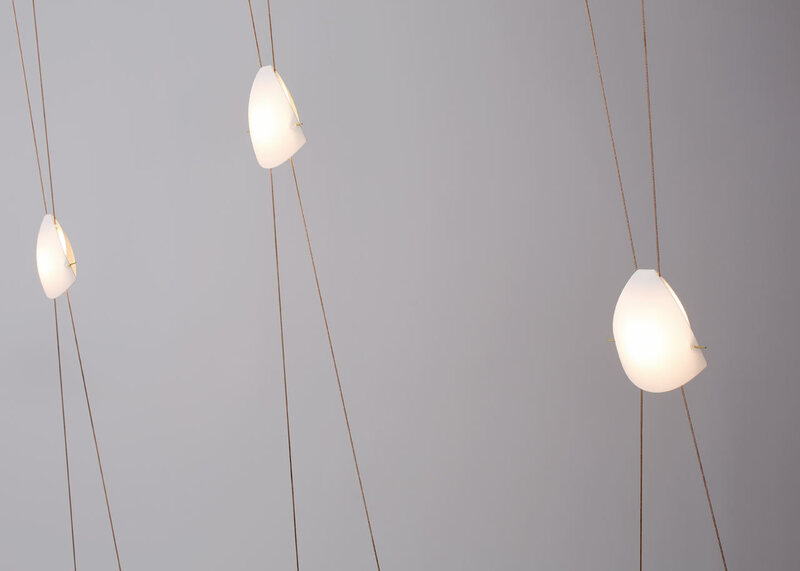 Their simple forms delicately cling to two thin cables resulting in a minimalist lighting display that can be continuously rearranged.